CAPCOM confirmed the release date of the Monster Hunter World – The Witcher 3 collaboration event. 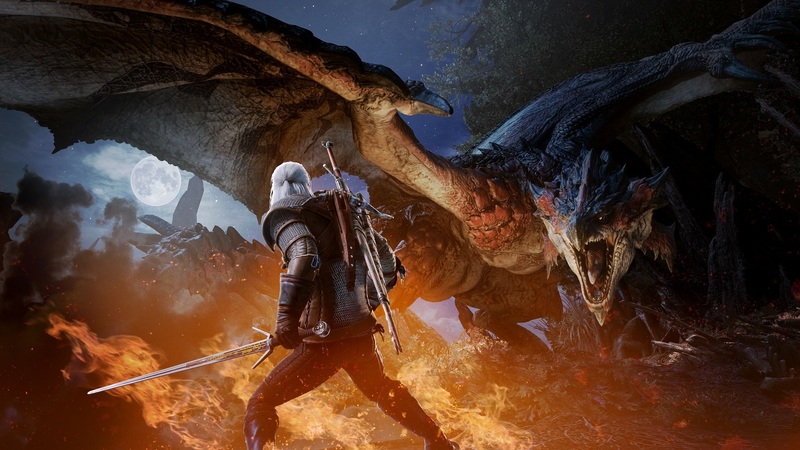 Geralt of Rivia is now scheduled to hit the popular cooperative monster hunting game on May 9th, in exactly thirty days from today. 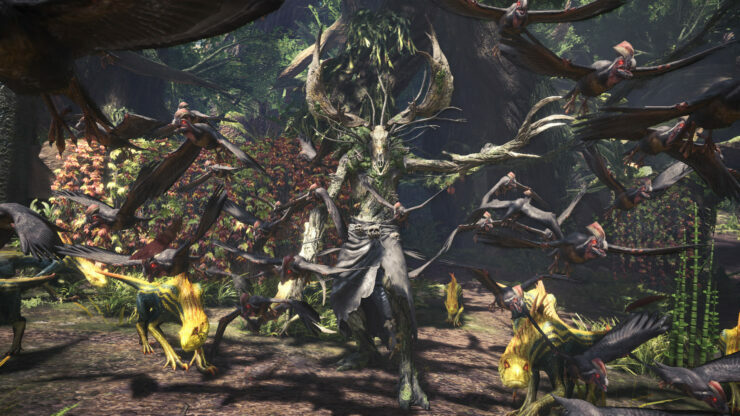 Alongside Geralt, the Leshen monster from The Witcher is also coming to Monster Hunter World. Read on for the full details of the event. From Thursday, May 9 00:00 UTC, we’ll be releasing the sixth title update, which will include various bug fixes, as well as a special collaboration with “The Witcher 3: Wild Hunt” (Developer: CD PROJEKT RED)! Leshen, a monster from another world, arrives in the New World! Dwelling deep within the forest, these creatures use their innate magic to control all flora and fauna within their territory. ・Play as Geralt of Rivia and take on a new special assignment! Go on a quest containing RPG elements from “The Witcher 3: Wild Hunt,” and solve mysteries as an expert monster slayer for hire! ・The ending of the quest will depend on your progression through the side objectives! ・Complete the special assignment to earn a special item and gesture, a new guild card background, as well as poses and titles. ・You can also earn materials to craft the “Geralt α” full armor set and the “Witcher’s Silver Sword” sword & shield! Furthermore, completing special objectives will earn you a critical bounty that, if completed, allows you to get the materials needed to craft the “Cursed Staff α” weapon, and the “Nekker α” full armor set for your Palico when completed! ・Special assignment “Contract: Trouble in the Ancient Forest” is a single player only quest where you get to play as Geralt of Rivia. Note: This special assignment will always be available. ・The difficulty for this quest is similar to Death March! difficulty in The Witcher 3: Wild Hunt. ・Complete the quest to earn materials to craft the “Ciri α” full armor set and the “Zireael” dual blades, as well as earn delivery requests that allow you to get the materials needed for the Geralt Layered Armor and Ciri Layered Armor. ・Any bugs related to this quest on other platforms have already been fixed for Steam. Note: This quest is available from Friday, May 17 00:00 to Thursday, May 30 23:59 UTC.